Promotional sunglasses classic – orange is that special summer eyewear, which is already garnering huge praises due to its unique color frame and cool effect that it creates over eyes. People are seen wearing them to offices, homes, leisure walks and to many more places. This is why many businesses and individuals are keen to hand out this sunglass to their dear ones or to masses at social events or other promotional events. We offer value discounts on large orders / bulk orders and individuals or businesses can seek it for value gifting during summers. 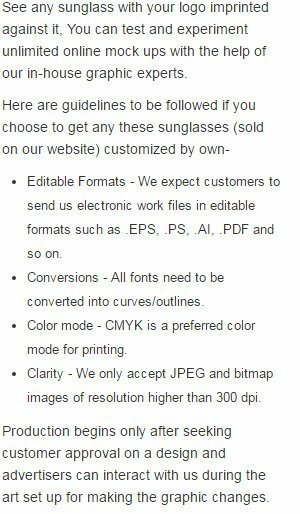 Request for a quote to know more discounts that are offered on promotional sunglasses classic – orange. Features – Adult-sized sunglasses. Orange plastic frame with tinted lenses. Offers UV400 protection.